Sling Shot Gin, what is in a name! What a month is has been here at Lough Ree Distillery HQ! We only received our still on the 31st July and since then we have found our distiller, developed a great team and finalised our gin recipe! What more could we ask for? We have decided it is time to share with all of our lovely supporters the name of our gin and the beautiful bottle we have. When we were deciding on the name and indeed the bottle we knew given the influx of gin to the market, that we had to be different, hopefully you like it! To start off any product one of its most important features aside from its function is its name. We wanted something that was strong and individual, but it also had to have meaning and depth. The word Slingshot evokes thoughts of David & Goliath, while on the shores of Lough Ree we think of the demise of Queen Maeve, by a Slingshot from the Longford shore as she bathed at Inchcleraun (Quaker Island). Sling Shot creates a sense of strength, passion and determination, all qualities we strive for on a daily basis when producing our gin. Here at Lough Ree Distillery, ‘Our Aim is True’, we strive to create the finest spirits and bring them to the world, from our hometown of Lanesborough. Our passion and dedication to do so reflect that of the tale of Queen Maeve. We are holding our official launch on Friday 5th October in Lanesborough. 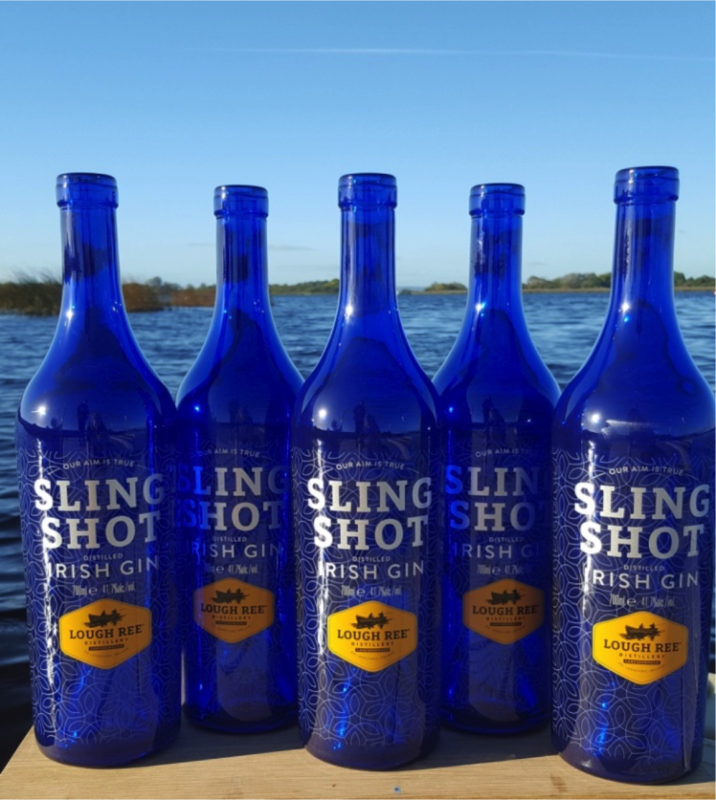 We are so proud of how far we have already come and we are excited to see what the future holds for Lough Ree Distillery and our very first product, Sling Shot Gin. If you are interested in attending our launch please email info@lrd.ie for further details. We would love for you to come on this journey with us and share in our growing history. https://www.lrd.ie/wp-content/uploads/2018/10/lrd-blog-name-slingshot.png 1289 1153 LRD_ADM1N https://www.lrd.ie/wp-content/uploads/2017/10/lough-ree5.png LRD_ADM1N2018-09-27 10:00:182018-10-11 13:58:54Sling Shot Gin, what is in a name! Finalised Gin Recipe! Sling Shot Gin Launch – what a night!